Last week I decided to try this 'Inversion Method' that everyone has been talking about on the interweb. 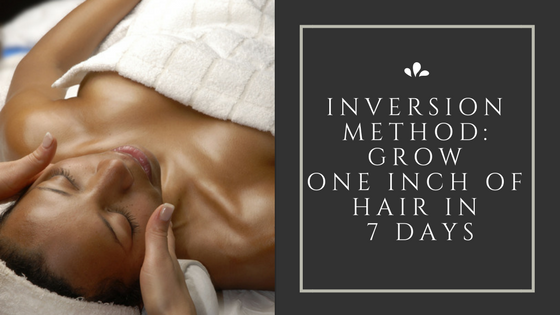 For the uninitiated the inversion method uses the principle of increasing the blood flow to the capillaries in your head/scalp in order to bring about a growth spurt. From what I understand the body goes into shock and your hair grows very rapidly for 7 days. You should only attempt this once a month as the body will start to see it as normal and the rapid growth will stop. So what's this crazy thing we have to do I hear you ask? Well, After massaging your head with an oil, you have to 'invert' your head for 3 - 4 minutes so that blood goes to the scalp. You need to do this consistently for 7 days and at the end you will see an inch of hair growth. To say I was sceptical is an understatement! I just thought what the heck it cant hurt to try it right and after seeing these photos I decided to give it a try. I decided to use Jamaican Black Castor Oil and mix it with Argan Oil. Some people had said they didn't use and oil at all, some said they used Olive Oil. I'm not one for had and fast rules and I wasn't really convinced this would work. The first few days nothing really happened, except I got dizzy after a minute of holding my head upside down and decided not to invert my head quite so much for the remainder of the week. 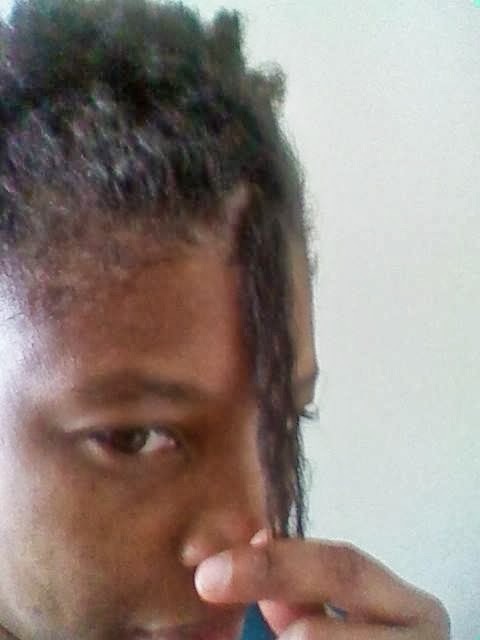 Around mid week I really started to get annoyed with my hair, it was tangling constantly and I was dissappointed to have to cut knots out of my hair every day. What was hapening why was my stupid hair behaving like this. GAHHH! then I realised how thick and how much of my hair there was. It was actually longer ( I have a TWAish so taller/thicker). My little afro puff style was not cutting it any more and I had to start thinking about new styles. I could actually canerow my hair. Bizarre to say the least. So I measured my hair mid week. I found that it had grown around half and inch. So I continued on and found just under 3/4 inches growth. My hair normally does an inch in a month if I'm lucky. I measured that my hair grew 0.75 inches. The strands I measured, now pass my nose. So my hair didn't grow an inch. 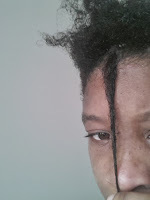 I can only put this down to the fact that natural hair is difficult to measure and stretch more at different times. I can imagine with straight hair it is much easier to measure this. Can I say it actually grew at all? Yes I did experience some grow, at least half an inch. You should not attempt the inversion method if: you are pregnancy, have a hernia, low or high blood pressure, have had a recent stroke, heart or circulatory problems, glaucoma, conjunctivitis (“pink eye”), detached retina, spinal injury, swollen joints, osteoporosis, unhealed fractures or injuries, ear infection, obesity, or are otherwise unhealthy. I may try this again and now I know not to invert my self quite so much. You might also want to make sure someone else is in the house as you can get dizzy. More great films coming up and found this crowdfunding campaign for a documentary about 'The Children of Zion' interesting! Monday 14 October 2013, London United Kingdom ----- A crowdfunding campaign is underway for a documentary that will unveil a part of Rastafari history, that remains largely untold. Jamharics: The Children of Zion from Nadine Drummond on Vimeo. One journalist wants to tell the story of a people in turmoil. 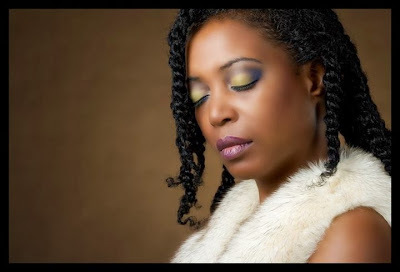 International journalist and director, Nadine Drummond, presents Jamharics: The Children of Zion. This groundbreaking feature length documentary tells the story of a group of repatriated Jamaicans currently battling a bleak reality. These pioneering Jamaicans and their descendants built the oldest Rastafari settlement in the world. The town of Shashamane in southern Ethiopia is the religious and spiritual home to about 800 Rastafari men, women and children. It is unique in Africa in its longevity and its diversity but its existence has been ignored and its contributions written out of history. The Rastafari community face multiple threats it must overcome if it is to survive. The aim of the film is to raise awareness, document their legacy and, most importantly, galvanise the support needed to give the people of Shashamane a phoenix-like emancipation from their current trials.The Rastafri of Shashamane are a major part of Jamaican and Pan African history and should be celebrated as such. Drummond's campaign aims to raise $40,000 which will assist in producing a compelling documentary capturing the stories of these forgotten people. Her passion for people has sent London-born Drummond’s career internationally which has included time working with CNN in Atlanta and her current role as a producer at Al Jazeera in Qatar. Nadine has already committed a year of her life to telling Shashamane’s untold story. Fifty percent of the proceeds from this film will go towards supporting existing community based programmes and developing new ones. The fund will assist projects like the Ancient of Days programme, which provides medical and healthcare support to the original pioneering community members. It will also develop a sustainable HIV/Aids project which will help the community effectively prevent the spread of HIV/AIDS and care for those affected with the life threatening disease. The campaign for Jamharics: The Children of Zion runs until early December 2013. The film is due to be filmed in January 2014 with its cinematic release later on in the year. 1. - Friday 25th October at the Westminster Kingsway College. 2. - Friday 1st November at the Holiday Inn Bloomsbury. 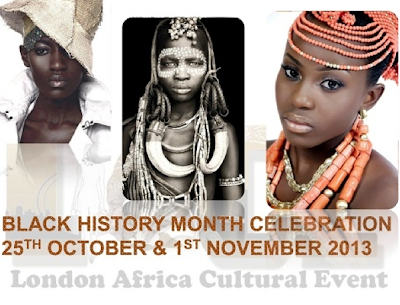 Catwalks, Exhibitions, Hair care professionals, Beauty, Fashion brands, Food and Music from Africa and the Diaspora will be showcased. Educational workshops will also be available to the public and will be delivered by industry experts such as Black History Studies and Sherry Ann Dixon, LACE 2013 patron. LACE really hope to collaborate with you for this event and please do not hesitate to contact me for more information. Looking forward to hearing from you soon and thanking you again for your time and consideration. Home Again is an award winning feature length drama set in Kingston, Jamaica, owned by global leaders in film distribution, Entertainment One (eOne) and stars Tatyana Ali, CCH Pounder, Lyriq Bent and Jamaica superstar Paul Campbell. This exciting night to remember will all be happening at the British Museum, where we close the gates to celebrate and screen an award winning film and celebrate the talents of our actors. Confirmed to attend are Tatyana Ali, CCH Pounder and the award winning directors and producers of the movie, as well as celebrity guests from the world of music, film and fashion. For more information see www.epicumfilms.com. The film will release in cinemas November 13 2013. Next week I am really thrilled to be a part of Cosmetic Chemistry Connections, a way to get young women of colour more interested in Science, Technology and Engineering (STEM) subjects. I always loved my mathematics and chemistry classes but I know many young people never look at these options when choosing what they plan to study. When I looked around my old laboratory I wasn't the only person of colour but I was the only black woman in the company and at many conferences and events. Getting young black girls interested in studying science is just the start. Making cosmetic products starts with Chemistry so the flip side of this is getting more black and ethnic minorities into the cosmetic industry. Here is a bit about the event and I will be back to tell you all about it next week! A Campaign for more Women of Colour in the beauty industry. 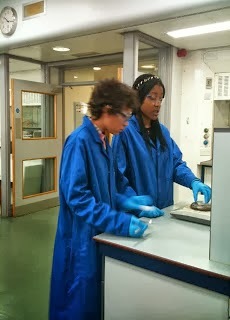 to encourage young women from disadvantaged backgrounds to study chemistry at University. We live in a beauty obsessed world which is ruled by advances in beauty products and treatments where not a week goes by without the launch of a new anti-ageing cream or Botox treatment. Unfortunately this is not reflected in the classroom where girls trail behind boys in STEM (science, technology, engineering) subjects. I am really excited to be working on such a positive project, says Madeka Panchoo. I feel very passionate about the aims of Cosmetic Chemistry Connections and its role in empowering young women and making them more confident about their skills in a science subject. Research by the Royal Society of Chemistry has found that despite having a taste for science, a low proportion of girls go on to study subjects such as biology, physics and chemistry at degree level. This is worrying for the nation because these subjects are fundamental to the growth of the country and the state of the economy. Drawing on the knowledge that girls react more positively to science subjects when they are presented in a user friendly way, Cosmetic Chemistry Connections aims to show the students the connections between beauty and science, how chemistry impacts their everyday life and the options opened up to them with a chemistry degree. 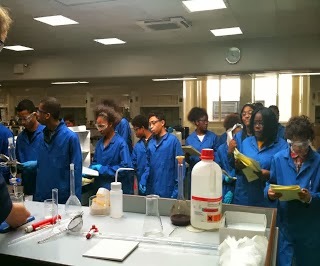 Cosmetic Chemistry Connections will launch on Wednesday October 30th at Christ the King College in London with a pilot where 25 students will work in a lab for one day to create their own beauty product and learn all about the chemistry processes involved. They will work on the life cycle of these products from lab to shelf and learn about the sustainability issues involved. They will work closely with cosmetic chemists, contract manufacturers, scientists and marketers who will be involved in the programme. It wouldn't be Christmas without my the unmistakable scent of sorrel wine in the house. It has a dark red colour and is favourite Christmas drink amongst Jamaicans. In Jamaica, Trinidad and many other islands in the Caribbean, the drink is known as sorrel. It is known as bissap in West Africa, and agua de jamaica in Mexico and Honduras. Using hibiscus or Jamaican sorrel can be used to create red colored highlights. Mix 2 cups Jamaican sorrel (dried or fresh), 2 cups of water and 2 tablespoons of honey in a small saucepan. Bring the water to the boil and let the sorrel to soak for 2-4 hours or overnight. Strain the liquid and stir in the honey and one tablespoon of cinnamon. Shampoo your hair normally. Then pour the liquid over the hair, massage in the scalp and apply to the areas to be highlighted. Wrap your hair with a cap and leave on your hair for 60 minutes or more and then rinse out. *When the hibiscus plant juices are infused with water as a tea, the resulting concoction soothes dry scalp. *Hibiscus is very good for dry curly hair as it provides excellent slip when used as a final rinse. *Hibiscus strengthens the hair from root to tip. *Hibiscus seals the hair cuticles and helps to stop hair breakage. Black Hair 101 had these great recipes for a Hibiscus Tea Rinse, a Hibiscus/Sorrel Hair Oil and a Hibiscus Conditioner. I really loved this recipe! I want to try it with Coconut Oil! How to make your own hibiscus hair oil: Crush five or six petals of hibiscus with about three leaves, place in a hot carrier oil (coconut, olive, castor), leave crushed hibiscus in oil on low flame, remove after 10 or so minutes do not let it burn! Strain when cool. Use as you would your regular oil. If you are not using fresh plants, 1/2 cup of dried hibiscus is pretty potent and will work just as well. Please note that the tea rinse stains but is easy to wipe out of your sink. Hibiscus tea rinse has great slip; you can use it as your final wash after a conditioning or after a shampoo as a precursor to condition hair. It gives hair a glorious shine. You will need 4 cups Red Jamaican Sorrel (also called Hibiscus) and 1 tsp ginger. Place the sorrel in a bowl (fresh or dried sorrel will do). Grate a piece of ginger and put with the sorrel. Pour boiling hot water over the sorrel (enough to cover it). Steep sorrel ginger mixture in hot water for two to four hours. Pour slowly on freshly shampooed hair. Put hair in plastic cap and let it sit for an hour or two. Rinse out with fresh water. Thank you Black Hair 101 for these great recipes! Question: Can Oil Dry Out My Hair? I keep seeing this on various forums and posts, that a particular oil being used is drying out someone's hair. Oils do not Moisturise. They can seal moisture into the hair or act as humectants and draw moisture in but they do not actually moisturise the hair.Applying an oil to dry hair will not moisturise it. A build up of oil may even block moisture not being able to actually enter the strand. 1. Moisturise first then apply the oil to seal the moisture in. Always apply moisture in the form of a water based leave in conditioner or even water. Do this to clean hair. Use your oil to seal the moisture into the strands. The ends are the oldest, most fragile and can be the driest part of our hair. Concentrate moisture here. If you are using an oil on your scalp, an applicator bottle will help get it on the scalp more than on the hair strands. Wash the hair and scalp regularly to avoid build up which can cause scalp problems. Dry scalp issues can result from getting lots of oil on the scalp and not keeping it clean. Bacteria and funghi and other micro organisms breed in dirt and oil. Keep the scalp clean. These are more effective when sealed in by an oil or butter. Don't overdo it. As with anything, always apply oils in moderation. Coconut Oil is a great source of protein, it is one of the few oils that has been shown to penetrate the hair shaft. Used correctly this can be a wonderful oil however you also have to be careful of protein overload so again everything in moderation. It is important to keep a good protein and moisture balance. Don't know which one your hair needs See Here. 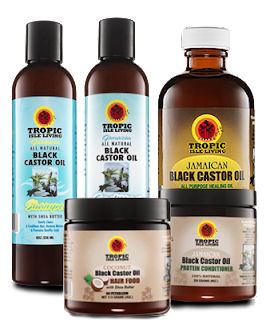 Tropic Isle Living Jamaican Black Castor Oil Now Available at AfroDeity! Tropic Isle Living Jamaican Black Castor Oil Products now available at the AfroDeity Store! AfroDeity: Home to Caribbean Healing Hair & Skin Products! Not only can you find the Gorgeous Fountain and Amazing Sunny Isle Jamaican Products on the AfroDeity Store, now all products from Tropic Isle are available! • Hot Oil Treatment: Warm 3Tblsp. of the castor oil and massage into hair then put on heating cap for a half hour OR massage castor oil into hair, put on heating cap and sit under dryer for 10min. Find these and more amazing jamaican healing products! You must have already noticed. The temperature has started to drop. It won’t be long before winter is actually here again. This means it’s time to start preparing your hair for the cold days that are headed our way. 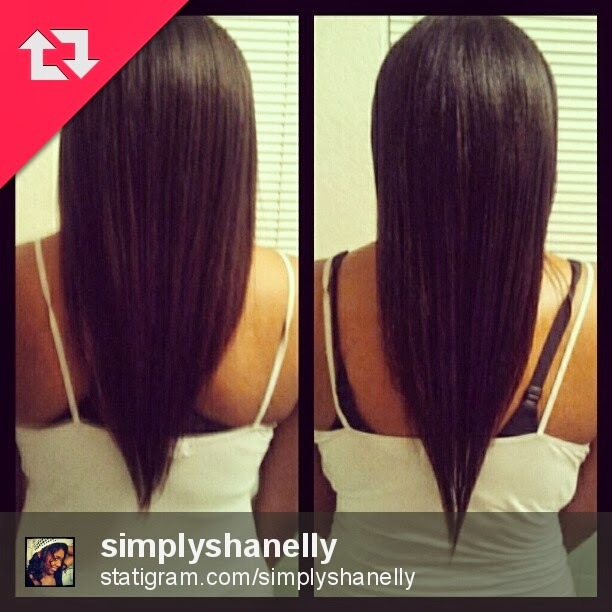 As you might already know, strong and healthy hair starts from the inside out. This means we shouldn’t underestimate the power of our daily intake. Try drinking enough water (1-2 liters every day), and don’t forget your Sishake in the afternoon. 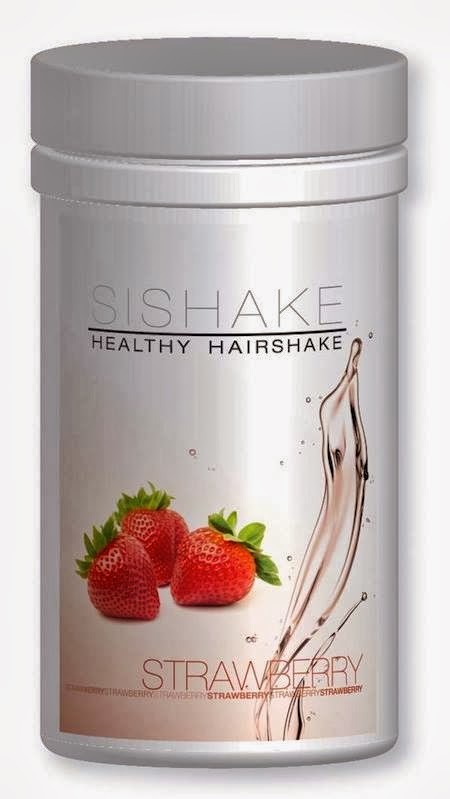 This wonderful milkshake, that comes in many flavours and variations, contains all the essential ingredients that your hair needs to grow healthily from the inside out. If you feel a little impatient about the speed of your hair growth, try using MSM together with your daily Sishake. Your scalp is the base of your hair. Make sure you start out right by giving your scalp a well deserved cleansing treatment. Our scalp cleanser is a shampoo designed especially for the scalp. Treating your hair with a good conditioner makes sure your hair stays hydrated. Treating yourself with a deep-conditioning session every two weeks during fall is a great way to keep your hair in shape. Another way to prepare your hair for the cold days ahead of us are hot oil treatments. This shouldn’t be a surprise either. If your hair is moisturized, it doesn’t break as easy as dry hair would. When your hair has to deal with low temperatures, a lot of its moisture goes to waste. Make sure you moisturize your hair on a daily basis. Doing this by just getting your hair wet in the shower won’t suffice, better yet this could damage your hair. Use a cream base product like our Flax Moisturizer to give your hair all the fluids it needs, together with all the essential oils and vitamins. b. Wrapping your hair when you go to sleep: Wrapping your hair before you go to bed can help detain the fluids in your hair. Try not to use a cotton scarf but try using a satin one. If you are the type of person that can’t keep a scarf in place, try sleeping on a satin pillow. you have got our tips now. For one week only and commencing our October Deals! Buy Fountain Pimento & Mint Medley Bath Salts and we will send you a 2oz Pimento Oil Free! Look Out for deals right through the month of October, our favourite month. Fountain Pimento Oil was featured in Isis Magazine Issue 3. See our Press page to see what people are saying about this fabulous healing oil. Don't let this deal pass you by! This week only! I got this after a day of weekend on my feet. I put a few drops in my bath and my muscles felt so much better after that bath. It is amazing! If an oil could be described as being theraputic, it is this one. The smell is intoxicating and once applied leaves your scalp/skin feeling warm and tingly. After my bath at night, i like to apply the pimento oil as it leaves me feeling relaxed and cozy. I would recommend this product. "For All Your Aches & Pains"
Unique to Jamaica, this powerful liquid remedy has been used for centuries as a traditional “Bush medicine”, renowned for its healing, soothing and antioxidant benefits. 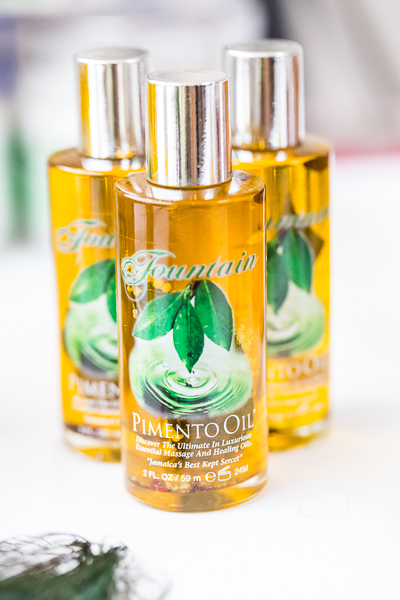 Fountain™ Pimento Oil’s advantages include well being, moisturized and toned skin, amongst many others! The fruit of trees and plants that flourish wildly and abundantly throughout the tropical Island of Jamaica are fermented over time to produce this potent blend. Untainted by pesticides, hormones or other unnatural growth or preservation treatments, this organic natural pain preparation has been termed the “medicine cabinet in a bottle”. WHY? 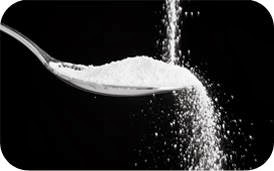 For the reason that each ingredient possesses its own specific remedial benefits, that in turn alleviate an array of ailments and painful conditions. Medicinal properties are extracted naturally during the fermentation process, increases in potency long after the bottling process! In fact, many of the pharmaceuticals and toiletries that we use on a daily basis derive from some of the ingredients found in Fountain™ Pimento Oil. 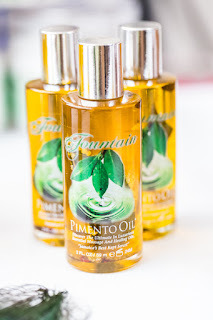 Fountain Pimento Oil has helped many of us immensely with painful menstral cramps, insomnia raynaud's phenomena and even with the odd lower back pain. Fountain™ Pimento Oil – “Jamaica’s best kept secret”! Ingredients: Jamaican Pimento, Olive oil, Jamaican Black Castor Oil, Peppermint, Eucalyptus, Nutmeg, Cinnamon, Lemongrass and Annatto Seed. Pimento Oil (Allspice) - has been known to be used as a natural anesthetic, (numbs pain) relieves sore muscles and relaxes joint stiffness, as an antioxidant, pimento also draws excess fluid from the knee, ankles and areas where swelling is noted. Added to a hot bath, it promotes relaxation, moisturizing & stimulant benefits. Simply dissolve a scoop or 2 handfuls of salts under hot, running water for a therapeutic and aromatic experience. 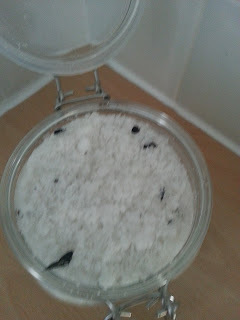 Soak for at least 12 minutes for the salts to penetrate the skin. Use a loofah to “slough” off dead skin. Rinse off with cool to tepid water, and pat your skin dry. For maximum detoxification, go to bed immediately, so that any remaining toxins will be removed through further perspiration during sleep. Thank you so much to everyone who joined in on our very first challenge. We have really been looking forward to doing it again and hope you will all join in once more. 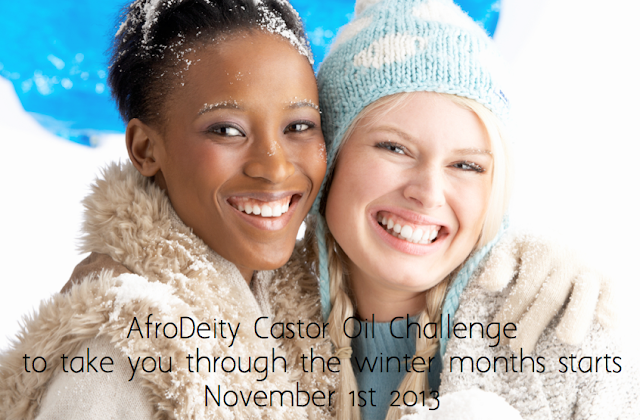 What is a Castor Oil Challenge? The aim of the challenge is to use castor oil as an aid in growing/thickening your hair by using it at least three times a week in various ways. This challenge will last 3 months. Here are some ways you can use castor oil on your hair. * Use Jamaican Black Castor Oil as a pre shampoo treatment. * Daily Maintenance: Apply small amounts of Jamaican Black Castor Oil daily to your hair roots and scalp. Then massage the oil into your scalp using your ﬁnger tips. You can leave the oil on your scalp overnight. Shampoo out in the morning. 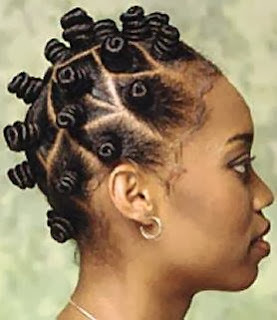 * Once per week use Jamaican Black Castor Oil as a Hot Oil Treatment . * Add it to your deep conditioner as a moisturising agent. * Seal moisture on the ends, prevents the moisture leaving the hair easily after it has been applied. What's the big deal about Castor Oil? Castor Oil is known to have anti-inflammatory and anti bacterial properties and is a source of rinoleic acid and many essential fatty acids. It can be used to combat hair loss, treat scalp infection, helps treat split ends, conditions, moisturises, encourages hair growth and give the appearance of thicker hair. Our favourite type of Castor Oil at AfroDeity is Jamaican Black Castor Oil and you can get this at the AfroDeity Store before the Challenge starts. You will need to join the challenge by November 1st 2013. To join the challenge comment on this blog post below (tell us a bit about your hair now and your goals for your hair). Sign up to the AfroDeity Newsletter to get more updates. Everyone is able to join. All races, all hair styles, all lengths are able to take part in this challenge! * Protective Styles, Relaxed, Locs, Weave, Extensions, Twists, Braids, Natural, please join us. * Open to everyone, AfroDeity is based in the UK but we want to hear from everyone who is interested in maintaining their hair. * You can buy Jamaican Black Castor Oil from your local Afro Caribbean Hair & Beauty store or from the AfroDeity Store. You can email info@afrodeity.co.uk with any questions. Check out the Facebook group and Pinterest Board for pics from our last challenge. Frequency: Use at least 3 times a week (hot oil treatment, daily maintenance, add to conditioner or prepoo) and check in so we can see how you are doing. The Challenge will start on November 1st 2013 and end on January 31st 2014. On the last day we will announce a grand prize winner marking AfroDeity's 3rd Anniversary. Only active members in the challenge will be entered (details and pics to follow). Join in and post on our Pinterest Board. The most popular method of staying in touch with others on the challenge is on our Facebook Group, you are also welcome to tweet us @AfroDeityLtd and let us know your progress as the challenge goes on. Click your favourite JBCO product to Buy Today!